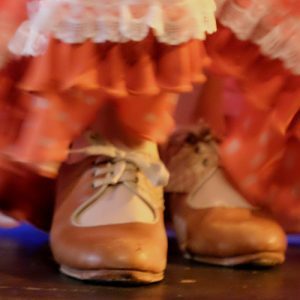 Students will learn a Sevillanas, a lively, traditional folk dance from Sevilla that is danced at ferias and fiestas. This class is welcomes students brand new to Flamenco as well as folk dancers and more experienced beginners. Learning Sevillanas builds foundations in rhythm and upper body expression and can be danced and performed for years to come.